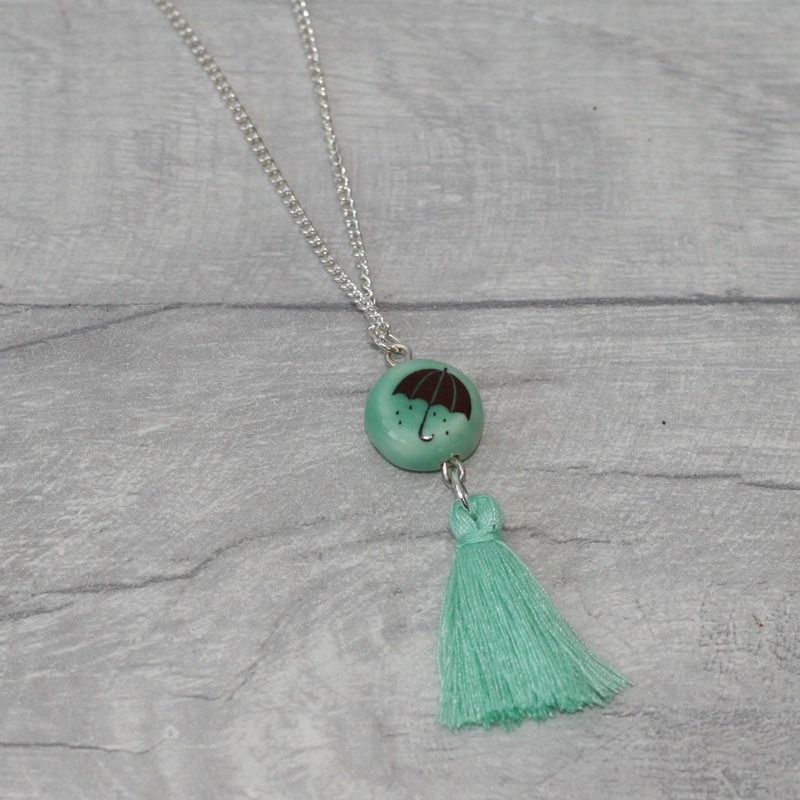 This necklace has been made with a ceramic umbrella bead and a tassel has been added to make it a bit girly. The charm has then been added to an 18” (45cm) silver plated chain. • The bead is approximately 0.8" (2cm) wide. • All necklaces come with an 18” (45cm) silver plated chain.